Lazy Saturday breakfast, have I featured this before? It's my favourite time of the week, Trevor makes pancakes and coffee and we lounge around doing nothing - bliss. He actually makes the pancakes after he gets back from running so it's really just me that lounges around in my PJs. 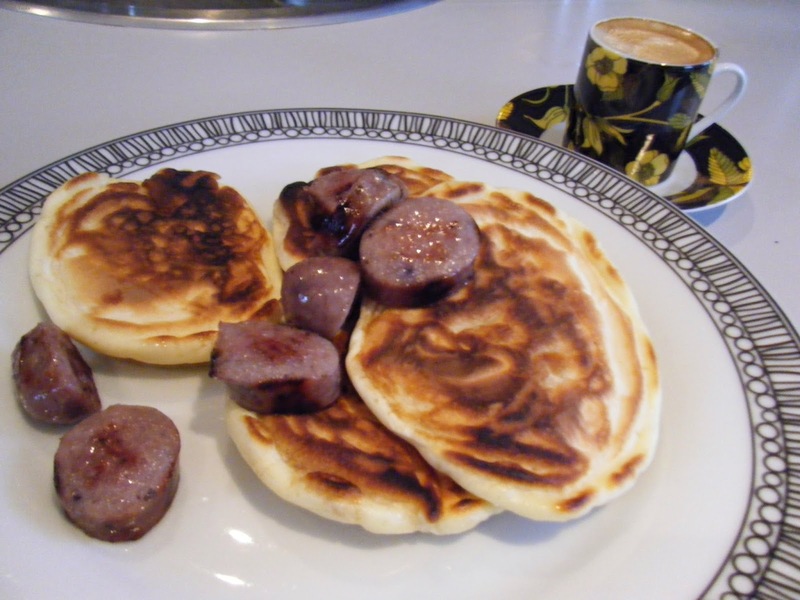 This week we also had blueberry sausages which were one of the packs I selected at the sausage judging because they looked interesting, they didn't taste much of blueberries but they did have a sweetness that went really well with the pancakes.